Environmental Education in Kettering: Discover the History! Kettering offers a vibrant and robust environmental education program. The Habitat Environmental Center and the Land Lab curriculum have helped to instill knowledge and passion for environmental stewardship in thousands of Kettering schoolchildren and community members. But did you know that only sixteen years ago, Kettering didn’t offer any environmental education programming at all? In 2002, City of Kettering Parks, Recreation and Cultural Arts staff reached out to the Kettering City Schools with a plan to develop a partnership and bring environmental education to local students. 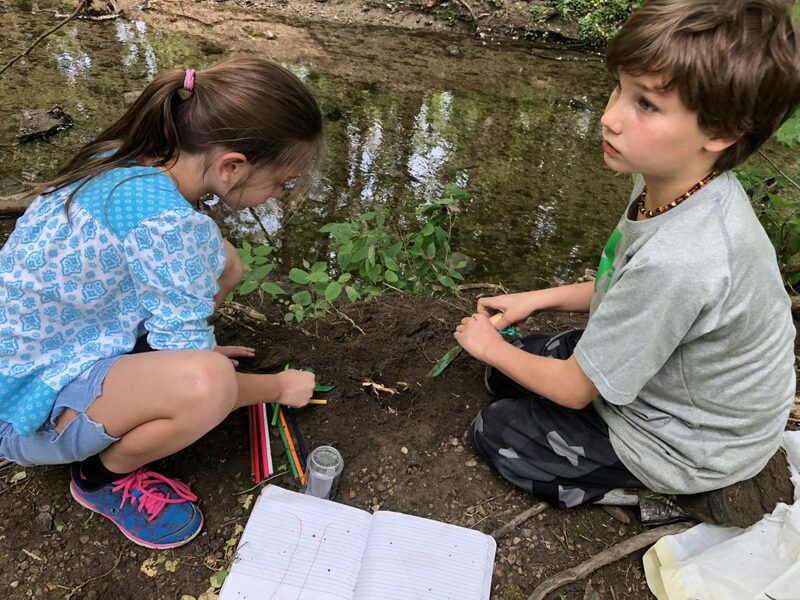 Through a collaborative effort, staff members from the City and the schools wrote a grant proposal for an Environmental Education Grant from the Ohio EPA. These highly competitive grants are funded by fines collected from polluters, and past recipients include conservation districts and nonprofit agencies. Kettering’s proposal was fully funded, and the Land Lab program was born! The Land Lab curriculum, developed by Kettering teachers, was designed to educate children and young adults about the natural world. It began as a two-year pilot program, and since its inception in 2004 has educated approximately 2,500 children per year from eight different local elementary schools. 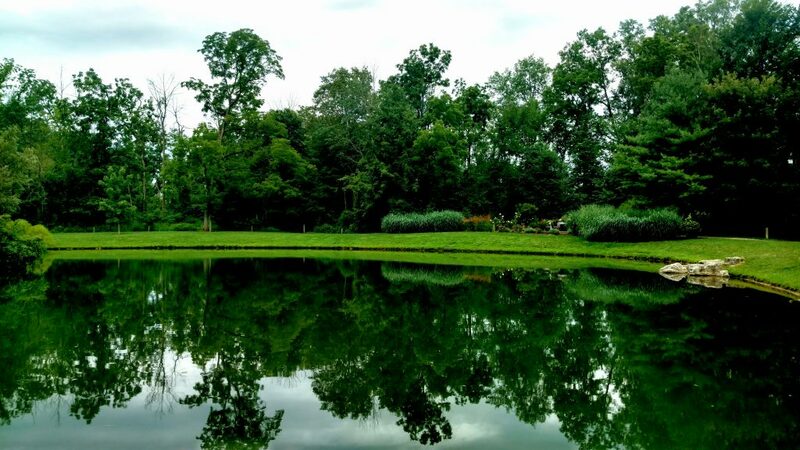 Hand-in-hand with the development of Land Lab program was the redesign of Pondview Park, which serves as one of two Kettering parks earmarked as a Land Lab site. Although Pondview (pictured below) is currently a thriving, beautiful site full of nature trails, it was once overgrown with honeysuckle and had no walking paths. The Kettering Parks Foundation, with the help of a consultant, created a master plan for Pondview that explored the history of the park and laid out an improvement plan for the site. In the mid-2000s, Kettering received a grant from the Kellogg Foundation through the Dayton Foundation to make Pondview a fully accessible park with amenities for people of all abilities. Upgrades included hard surface paths, learning stations with audio boxes and braille signage, a sensory garden, benches and a parking lot. In 2008, Kettering’s environmental education program received more funding via the Bond Levy. Initial plans involved renovating the ‘little brown building’ that had become known as the Southdale Nature Center, but instead the beautiful Habitat Environmental Center (pictured above) was built in its place. Work was completed on the building in April 2013, and since then, the community has enjoyed expanded programming in addition to the Land Lab program. Kettering’s environmental education supervisor, Kerri Miles, has been with the program since its early days – Miles came aboard in 2004. She noted the efforts of area Optimist groups and volunteers. “Volunteers have planted hundreds of trees at Pondview and Southdale Parks,” she said. With our aquifer and many rivers, the Miami Valley is a major player in the watershed conversation – an especially important place for kids to learn how to care for our natural resources. Learn more about Land Lab and about Environmental Education in Kettering.